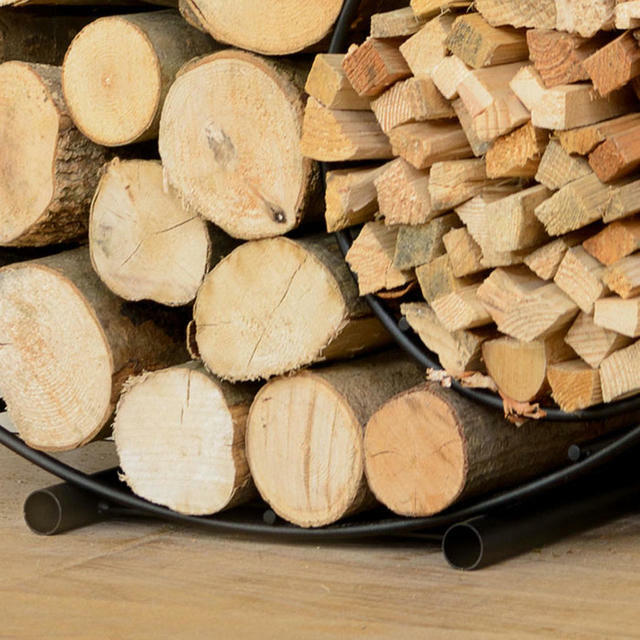 A contemporary and stylish way to store your logs and kindling in your home by your wood burner. 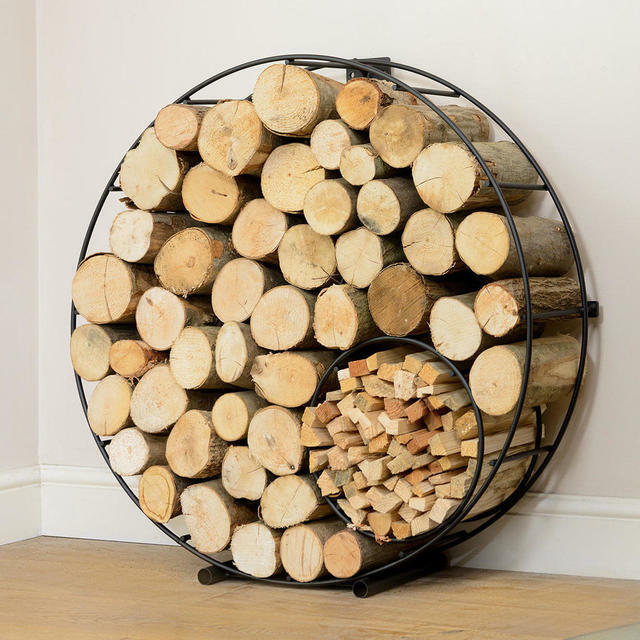 A floor standing log holder in steel is a stylish way to store your logs and kindling ready for use. 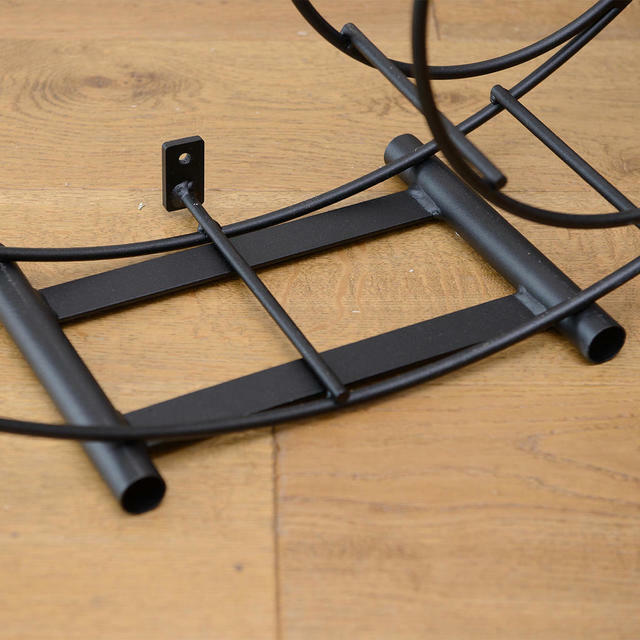 The floor standing wire log holder is supplied with a floor cradle to stand the holder on and keep it stable. There is a kindling holder incorporated into the log holder design helping you to keep all your firewood in one place. 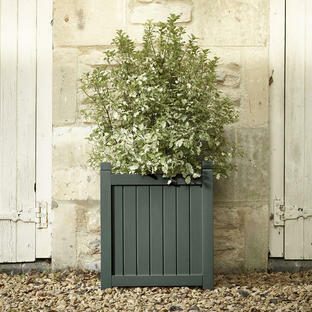 The galvanised steel is powder coated inside and out and finished in a matt black finish. 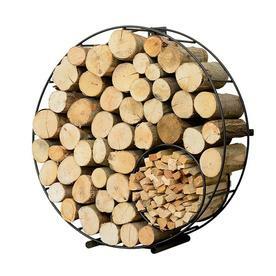 Please note if using outside to organise and store your logs and kindling, we would recommend it being kept under cover, to keep the logs dry. 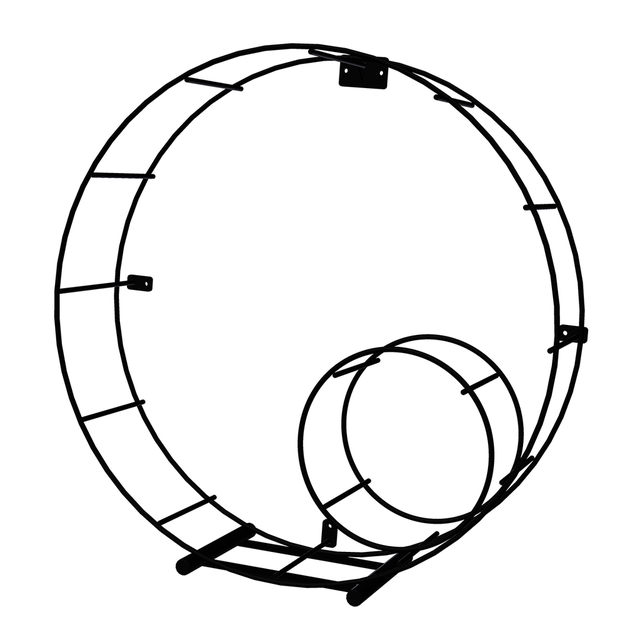 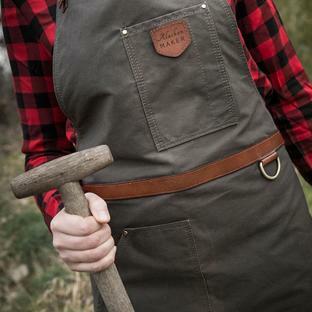 The internal diameter is 78cm, with the kindling holder measuring 30cm diameter. The kindling holder incorporated into the log holder. 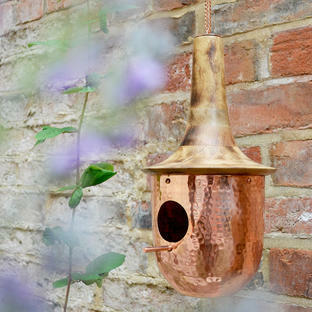 Manufactured using strong 8mm solid steel rod with 6mm thick wall plates fully welded. 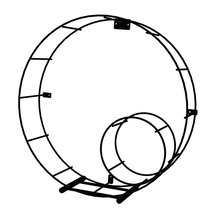 One piece construction so no assembly is required. Supplied with a floor cradle to stand the holder on and keep it stable.